Children add a unique strain on a couple's time and relationship, yet they desperately need parents who love each other. That's why, according to Dr. Willard Harley, one of the most important things parents can do for their kid is keep their marriage healthy. His Needs, Her Needs for Parents, now available in trade paper, helps them do just that. 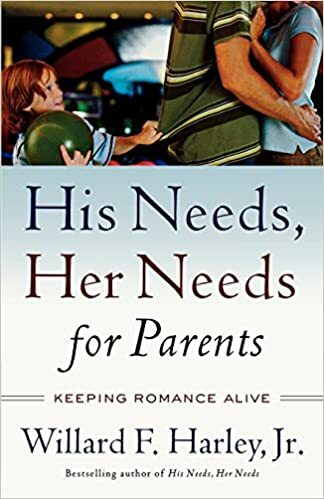 Following the pattern of the bestselling His Needs, Her Needs, this book guides both new and seasoned parents through the whys and how's of sustaining romance in a marriage. It also offers specific, practical steps on spending quality time as a couple, deciding on child-training methods, dividing domestic responsibilities, and even handling kids with ADHD and intrusive in-laws. His Needs, Her Needs for Parents helps couples maintain their love for each other and raise happy and successful children at the same time.